By 1988, kids in small towns all over Sweden were putting bands together. Some never made it past the demo stages, others never even performed live. Bands were borrowing instruments, exchanging tapes (and sometimes members) and designing logos and crude artwork to adorn their songs and ideas. It was a booming time for the scene, eventually headed to the top of the summit in 1991. Aside from kids hanging out and exchanging tapes, the death metal scene benefited from an underground explosion of fanzines dedicated to the cause. Zines like Megalomaniac, Poserkill, Cascade, and At Dawn They Read were picking up death metal (as well as thrash) and spreading the gospel. One of those zines, Hang 'em High, was created by Erik Qvick and Orvar Safstrom in 1988. After writing about bands and demos the two decided to start their own band. Prophet 2002 was created by Qvick and Safstrom, however in 1988 they changed the band name to Nirvana. After the two heard a song by the popular Seattle grunge act they added the 2002 portion to the name. Thus Nirvana 2002 was brought to life. The two wasted very little time and cut a raw two song demo, 'Truth & Beauty' (sometimes called 'Porta 89'), and started spreading around the tapes on the trader circuit. These are essentially one take and recorded as a rehearsal. Safstrom plays all guitars, bass and growls while Qvick plays drums. That same duo recorded 'Excursions in the 2002nd Dimension' in May of 1989. This is the first recordings that I had heard from the band and it is crude, Neanderthal death growls with some quick thrash riffage--but you can hear the band were on to some great things. All three songs clock in at a mere 4:40 in total length. Bassist Lars Henriksson joined the two and the now three-piece recorded a song called 'The Awakening Of' in 1990. The song was a split with Appendix, Authorize, and Fallen Angel and released by the short-lived Swedish label Opinionate! on 7". The song has much better sound than the prior rehearsal tapes. It is thick as syrup with the typical down tuned "Boss Pedal" strings and two beat battery. The riffs are fairly quick and buzz behind Safstrom's brutal vocals. Solo work hits at 1:35 and reminds me of some of the melodic injections in the Dismember sound. The last-minute hits on a thick, walloping groove with a little more room to breathe with the percussion. The band signed to Swedish label Chickenbrain Records (CBR) for their next recording. CBR had started in 1987 with Burning Ambition's 7" 'The Beast' and concentrated on a lot of extreme and punk. 'Disembodied Spirits' was released in July of 1990 and showcases some of the best material from the band. I would have to say it even holds its own with the "first" established recording of the Swedish Death scene--Entombed debut 'Left Hand Path' (released a mere month earlier). "Slumber" opens with fast drums, Swedish "chainsaw" riffing and maniacal deathly howls. It's a wall of sound played on 11 and executed with raw intensity and extreme aggression. At the halfway point, 2:11, the tempo changes and a massive, punishing groove hits to slow it down. 3:04 it crawls with this epic doomy vibe combined with some ominous keyboards and a blistering solo before hitting full speed ahead. "Zombiefication" follows with more chainsaw riffs over two beat patterns. The song is lively and has a little punk feel to it. At 1:48 it slows just briefly, strums a couple of notes, and then blasts with a more central and slower riff. Lyrically, it isn't great but I love these lines--"Now I am deceased and you are left alive, but in truth I am the living one and you're the one to die". Grim as a ghost. The demo ends with the previously released 'The Awakening Of' (re-recorded). A really rough recording called 'Promo 91' was released around early 1991. These songs were recorded for an upcoming 7" called 'Mourning' for their CBR label at the time. That release never happened, but the songs "Further Beyond" and "Snake" were released and packaged as this 'Promo 91'. The recordings are really difficult to hear. The opening track is fast and furious while "Snake" is a little slower with a driving riff and higher vocal pitch from Safstrom. Sadly, that's all that Nirvana 2002 achieved. Their demos were widely circulated and praised with many anticipating a huge splash with a debut album that never came to fruition. They never performed live during their creative years, yet are considered one of the best and most talented of the Swedish Death bands based on these slim recordings. It's a small sample size, but things were looking very promising to say the least. Entombed thanked the band on their 'Left Hand Path' liner notes and Safstrom would later contribute vocals on their 1991 EP 'Crawl'. 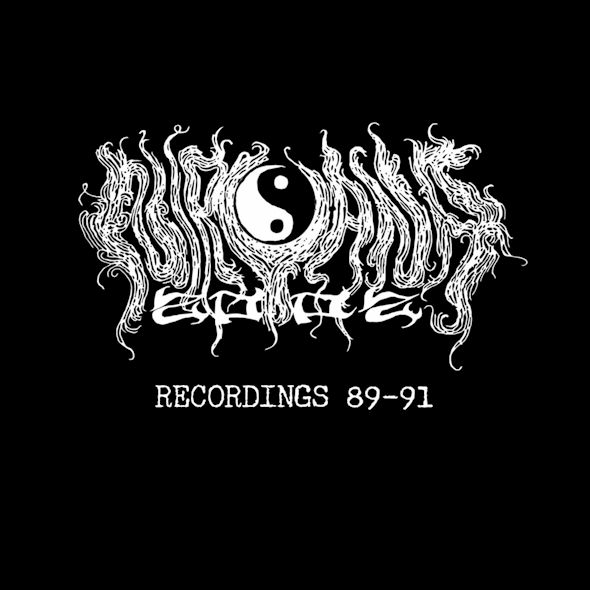 In 2009, Relapse Records released a compilation album called 'Recordings 89-91' which encompasses nearly all of the salvageable material released by the band. The three-piece reunited for the first ever gig in January of 2007 to celebrate the release of Daniel Ekeroth's "Swedish Death Metal" book. Their second and last performance was at the Maryland Death Fest in May of 2010. After the show, Safstrom stated the band would not be writing, recording or performing in the future.